We are a leading Manufacturer of ladies spa uniforms and ladies spa top from Mumbai, India. We have complete allegiance in offering highly demanded Ladies Spa Uniforms. 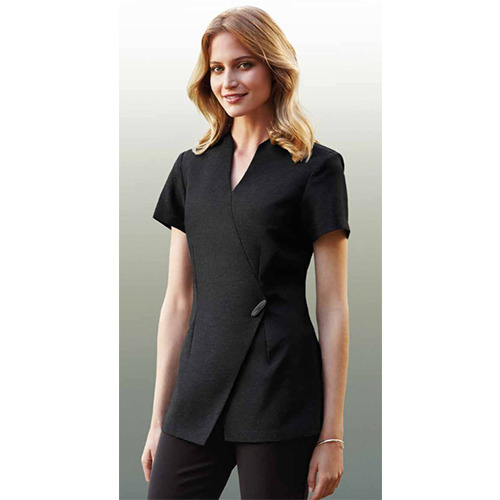 Spa professionals are showing strong trust the quality and durability of our offered tops that are exquisitely finished with quality stitching and tear resistant fabric. The long lasting quality of these tops can be ordered in size 6-20 at the best price in the industry. We are reckoned as major entity actively engaged in offering high quality Ladies Spa Top. The jacket style pattern comes with a hook and loop at the front which can be tied easily. 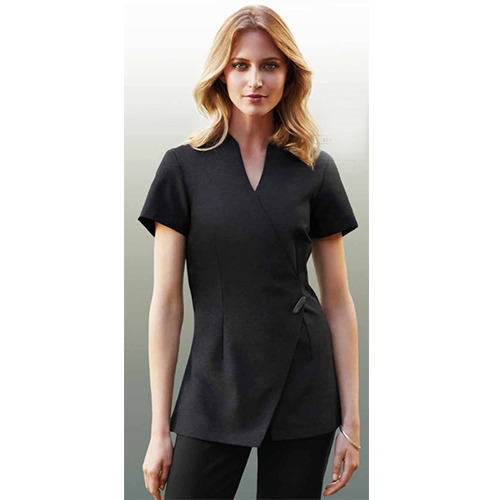 Featuring sleek look with its neat stitching details these tops are best for spas and salons. Further, we are fabricating these tops from 5% Polyester/25%viscose which is soft against skin and easy to wash. Looking for “Ladies Spa Top”?